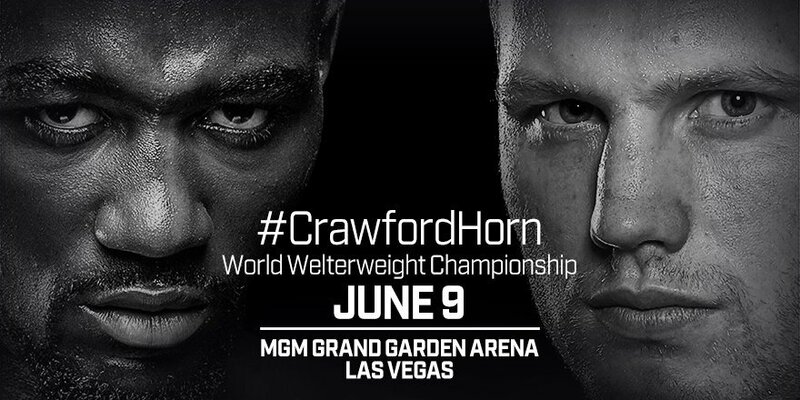 WBO welterweight champ Jeff Horn, who will make his second title defence against Terence Crawford on June 9 in Las Vegas, is a mild mannered guy. The same could be said of his challenger. Yet this fight has turned into a Grude-Match all the same – courtesy of the two men who guide the two unbeaten fighters. Both champion and challenger have mutual respect and they have left the trash-talk to their respective trainers: Glenn Rushton in Horn’s case and Brian McIntyre in Crawford’s case. And neither man has disappointed. McIntyre insists both Horn the fighter and Rushton the trainer are “scared” and he is adamant that both men are out of their depth as far as this fight goes: “I tried to tell you you didn’t have a clue what you were going up against,” McIntyre says he will tell Rushton after the fight has ended. It’s all made for good copy (“McIntyre’s nickname is ‘Bomac’ but I call him ‘Big Mac’,” Rushton said amusingly) but as we all know, talk is cheap – even between the two fighters, let alone their respective coaches. Crawford says he respects what Horn has achieved and that he is not underestimating him. Horn knows all too well the fine skill-set his challenger possesses. It ALL adds up to an intriguing fight, one that will hopefully bring out the best in both welterweights. The fight has been postponed and also seen its venue changed (McIntyre was especially annoyed when, after the fight was postponed due to a hand injury suffered by Crawford, Rushton called Crawford “a princess”) – but now it is just days away. Let’s hope there are no post-fight punches thrown in the ring after the main event has ended. We have seen rival trainers get into it before!